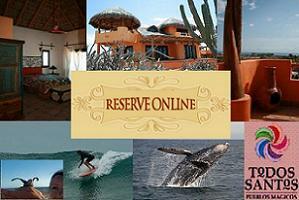 Mention “second home” and “Baja Peninsula” and many people think of Los Cabos, Mexico’s most upscale resort. 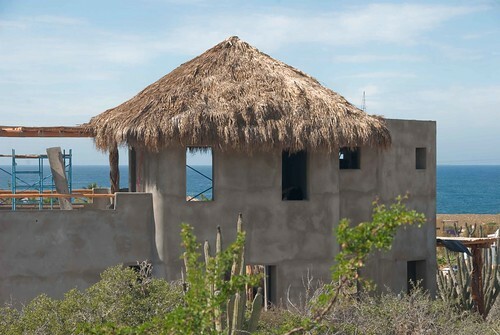 But the newest hotbed of residential development south of the border is a few hours north of Cabo, stretching from La Paz to Loreto. La Paz (The Peace) is the capital of Baja Sur, one of two Mexican states that make up the 800-mile peninsula. With about 200,000 people, it is also the largest. The main attractions are beaches, desert and water sports, but the small city also boasts an impressive malecón, a waterfront promenade with shops, restaurants and hotels. Long popular with tourists for its combination of urban amenities and sleepy-fishing-town feel, La Paz is suddenly popular for its price: Homes are far less expensive in La Paz than in pricey Los Cabos, 130 miles south. Two hours north of La Paz, Loreto is undergoing more aggressive development around a pristine bay that houses the 800-square-mile Bay of Loreto National Marine Park, a U.N. World Heritage Site. The area had been identified by FONATUR, the Mexican government’s tourism investment arm, as a site with potential, and infrastructure was built to encourage development. “The government has poured $200 million into an airport, roads, sewage, everything developers need,” says Mark Codiroli, sales associate for the new JW Marriott Residences complex here and a longtime Baja real estate agent. • La Paz: On a waterfront peninsula, Paraiso del Mar has the region’s top golf course, an Arthur Hills design, plus homes and condos from $200,000 to more than $1 million; nearly 4,000 units are planned (paradiseofthesea.com). Many buyers consider downtown enclaves near the beach and shops, where bargains abound. Condos near the water begin at less than $100,000, two-bedroom homes with pools are in the $200,000s, and luxury homes with four-plus bedrooms run $500,000 to $1 million.